You Don’t Have Sales Managers; You’ve Got Deskers! Most dealerships I work with seem to suffer from too few managers. They don’t have enough managers to control the sales floor, monitor phone calls and other activities, oversee the basic Road-to-the-Sale, ensure the CRM is being used properly or even train their own sales teams. Why am I complaining? This is probably why they hired me in the first place, right? Probably; but because they don’t have enough managers to run all those day-to-day leadership tasks, they also have no one to reinforce my training or the training the last guy provided or the guy before that or the guy before that or… you get the idea. Don’t get me wrong: I love watching a great Desker in action. I enjoy being in an active sales tower and observing as a top notch Desker berates an unprepared salesperson for daring to bring him “this garbage,” then turns and – without missing a beat – loads the lips of another salesperson with some of the best closing lines ever spoken all while completing a fourth pencil that holds some gross, steals the trade and brings the payments to within $50 of where the customer demanded they needed to be. Desking for maximum gross is an art form; and great Deskers are artists – they really are. Of course, just like most great artists I know, most great Deskers make terrible people managers. Let’s be clear: America’s car dealers won’t always need “traditional” sales managers. (By “traditional” I mean sales managers who can desk deals, but couldn’t lead their team out of a wet paper bag.) There will come a day when the art of desking is completely replaced by the science (technology and data and firm retail pricing). It’s happening more and more every single day; even in dealerships not considered “one-price” stores. You see, something happened while you, your 20 Group and your OEM were focused on Facebook and Twitter and Pinterest and… you get it. The customer became empowered with so much information that they’re arriving at your dealership fully armed with what they plan to buy and for how much. Unfortunately, instead of being focused on processes that can wow the connected customer and get the deal done in under an hour, your Deskers are busy trying to hoodwink every prospect by delivering a first pencil that’s $3,500 higher than your own online price while simultaneously trying to steal the trade for well below the lowest number in the range the customer saw online before they arrived on your lot. Oh, and while your Deskers are trying squeeze the buffalo off the nickel with their fourth pencil, the connected customer has been using their smartphone to find a better deal up the street. And with that, they’re gone! You allowed the customer to sit there all alone with their phone. Because today’s connected customer already has all the answers before they arrived at your store, all you needed to do was sell them a car. It’s too bad your team was freelancing their own Road-to-the-Sale while your Deskers were busy outsmarting themselves. Don’t believe me? Well, dealers like Schomp BMW in Colorado have successfully been selling cars that way for a very long time. No desk managers, no F&I managers. But, How Will We Have Front-End Gross Without Deskers? Remember the second reason you lost that deal earlier: You’re too focused on traditional desking as the sole generator of front-end profit? 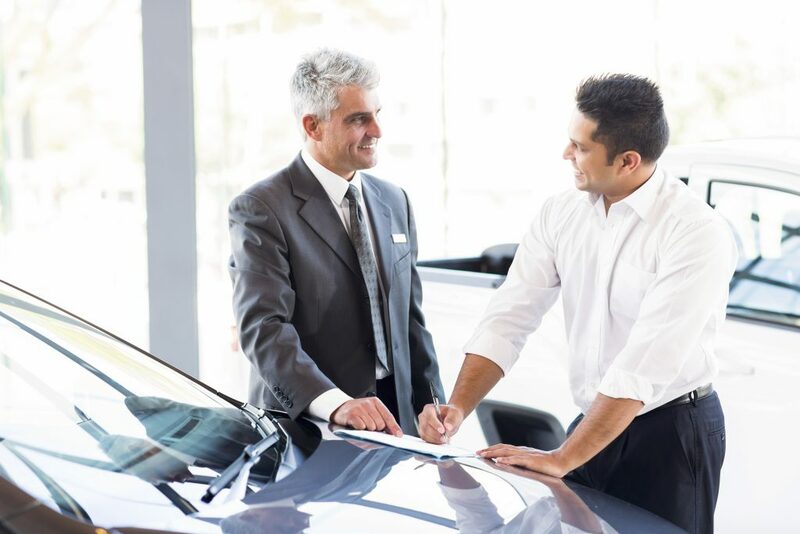 Today’s prospects are connected and informed; and they chose your dealership largely because of what they learned about you before they arrived. They decided that your vehicle provides Value and Relevance. That is, they believe your vehicle is priced right (or they already have a price from one of your competitors further away that they plan to use against you) and they believe your vehicle fits their needs. They want to buy your car and they want you to sell it to them as if you were both humans. They want you to be Authentic with them. Treat them with respect. Give them a good experience. Sell them the car for what you’re advertising it for online. Give them a decent price for their trade. Do all this in a way that provides transactional transparency (that is, they know what’s going on all the time – no more mysterious meetings behind the one-way glass). That’s Authenticity. There are lots of great sales processes out there that give consumers that feeling of authenticity they need and that also hold gross (because these great sales processes provide an efficient and almost enjoyable experience). The Perfect Appointment selfishly comes to mind. Unfortunately, your Deskers are too busy desking deals to try their hand at sales management. They won’t reinforce something as intuitive and simple as The Perfect Appointment; even if it means making you more money and making their lives easier. Gladly turn their mediocre salespeople into trained killers. In other words, they lead the sales team in a way that improves sales, revenues, profits, inventory turn, and CSI; all while dramatically reducing salesperson turnover. Today You Have Deskers, When You Really Need Leaders. Before you waste more money on a consultant to come in and train your team how to answer the phones or with a hiring and staffing firm to generate a few candidates, ask yourself: Why aren’t my managers capable of these activities? I estimate that 80% of the dealers who pay me to train their teams fail to make any meaningful changes to the way they do business. Why is that? It’s because there is no leadership in the dealership. No owner with the time to manage the day-to-day and no general manager or sales manager willing to do that which he/she knows is right for the long term and today. I don’t do phone training. Yes, your teams will learn phone strategies and talk tracks from my training, but unless or until your managers are willing to reinforce this after I leave your store (that is, become leaders), you’re wasting your money on outside consultants. Let’s be clear: I am not advocating you get rid of Deskers. Deskers still deliver value for most dealers. The issue is that these Deskers need to start leading, or you need to stop paying them as Leaders and start paying them as Deskers – because you desperately need Leaders. Sorry, but there are no quick fixes to this problem. I know my posts generally leave you with lots of To Dos, but this issue runs too deep in most stores to be solved in fewer than 2,000 words. I do recommend (selfishly, of course), that if you’re serious about turning your Deskers into Leaders, you enjoy this free Undeniable Advantage video webcast as a solid first step: Stop Treading Water & Fix Your Dealership Turnover & Staffing Issues Forever! As you and your team will learn from this training: Solve your turnover issues and everything else is a cakewalk (including Sales Management). Spoken by a true automotive professional… hats off. Call me if you need anything! Great Post! Thanks, Reid! Glad you liked it – I appreciate the kind words. Great read that I am sharing with everyone on our team! As an OEM exec, I want to pull my hair out dealing with these (as you call them) Deskers. But our dealers are addicted to them like crack. A lot of great info, but your best line is “Solve your turnover issues and everything else is a cakewalk.” I’ll be watching your webcast live – will there be a recording I can share with our dealers?